“I think [downtown has] changed significantly over the last five to 10 years,” says Lucas Haire, development director for the City of Canal Winchester. “It’s gone from your traditional small-town retail to an entertainment and restaurant area.” Haire credits the cultural shift toward supporting locally owned businesses for this change in Canal Winchester’s Downtown. 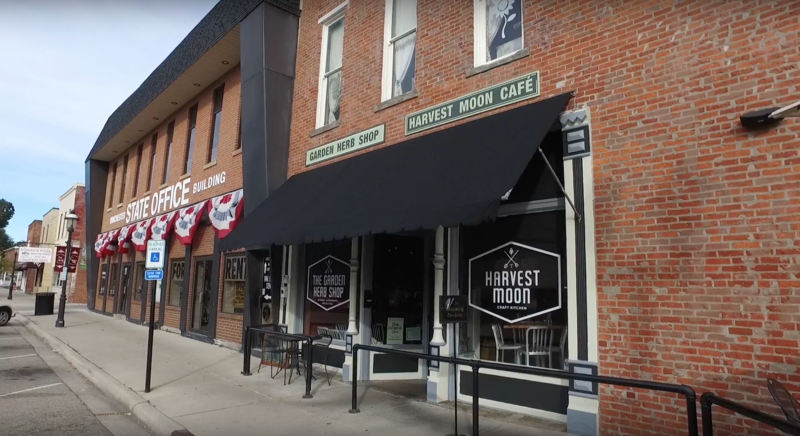 New: While downtown’s historic buildings are fully occupied, Haire says, changes in the city’s zoning laws a few years ago allowed downtown restaurants to expand their outdoor seating. Restaurant-goers can find patios at Harvest Moon Craft Kitchen, Shade on the Canal and Village Wines and Bistro. In early spring, keep an eye out for new bike racks that won the Canal Winchester Art Guild’s juried bike-rack design contest. Don’t miss: A cluster of four stores selling “shabby-chic” furniture and home items is a draw for shoppers. Start with CornerSmiths, at the corner of East Waterloo and South High streets, and make your way through the vintage, rehabbed and handmade offerings of the quaint shops. Host Charlene Brown sits down at Harvest Moon Cafe with Air Force veteran Amanda Hostetter, who now studies nursing at Ohio State University. Hostetter tells us about the challenges student veterans face and why OSU is ranked No. 1 in the nation for student veteran services and support. This entry was posted	on Sunday, December 18th, 2016 at 5:52 pm	and is filed under Story. You can follow any responses to this entry through the RSS 2.0 feed. Both comments and pings are currently closed.